For over 30 years, Lucie Hauri has been bringing together hundreds of satisfied buyers and sellers, and is therefore the one of the top addresses for property buying on Majorca. She has the exceptional ability of identifying the wishes and needs of her clients and to find with passion and dedication the right property for each. Lucie Hauri makes dreams come true. Specialized is the German-Swiss national in the southeast of Majorca, especially the area around Santanyí, one of the most attractive and romantic corners of the island. In property sales to Hamburg-based companies, Lucie Hauri has been significantly involved leading to the development of the famous ‘Hamburger Hügel’ (“Hamburg hill”). This settlement between Santanyí and Alquería Blanca is now one of the most exclusive resorts on the island. Lucie Hauri recognizes continued high potential in her region: “The southeast is still an insider tip for exclusivity with a fantastic mix of beautiful nature, Majorcan and International culture and culinary delights”. In addition to the main business of real estate sales, there is a separate department for the construction management. 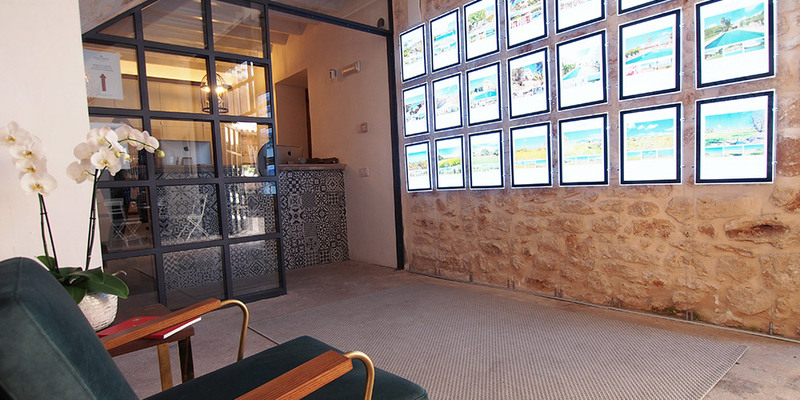 To build a house in Majorca is always a good opportunity to create the perfect home. Work with Lucie Hauri to build your dream – a property or country house of high quality with first class facilities. whether in the idyllic green countryside, close to the village or with breath taking dreamlike views over the sea. Lucie Hauri and her team will be at your side, from the initial assessment, at the planning and the total supervision of the construction until the works are completed. Each project is a unique work of art and that’s how Lucie Hauri treat it. Lucie Hauri works with a selected and highly qualified team, which is in charge of the development process from the beginning to the end. After years of experience in project planning, construction of houses, renovations and rebuilds of any kind, here you are in good hands. The office takes care of documentation, building permits and legal advice, building restrictions and safety standards. During the entire process Lucie Hauri and her team is acting as an intermediary. This saves your precious time, your money and a lot of frustration. Because in a foreign country you will encounter various obstacles: other building materials and weather conditions, difficulties with the language and legal and cultural differences. Through a constructive collaboration with builders, architects and contractors Lucie Hauri helps to avoid these difficulties.